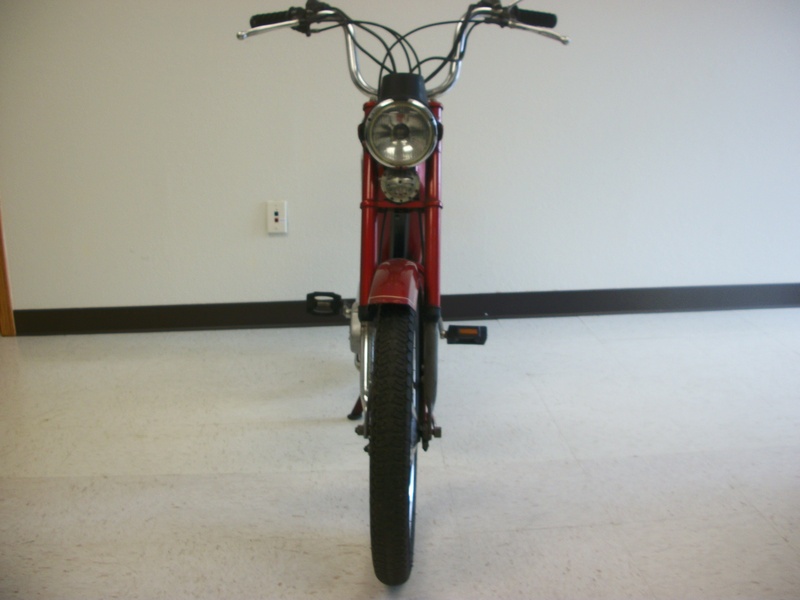 1980 Tomos Bullet with an A3 2 speed automatic engine that has been fully serviced and tuned and now just needs someone to ride it. 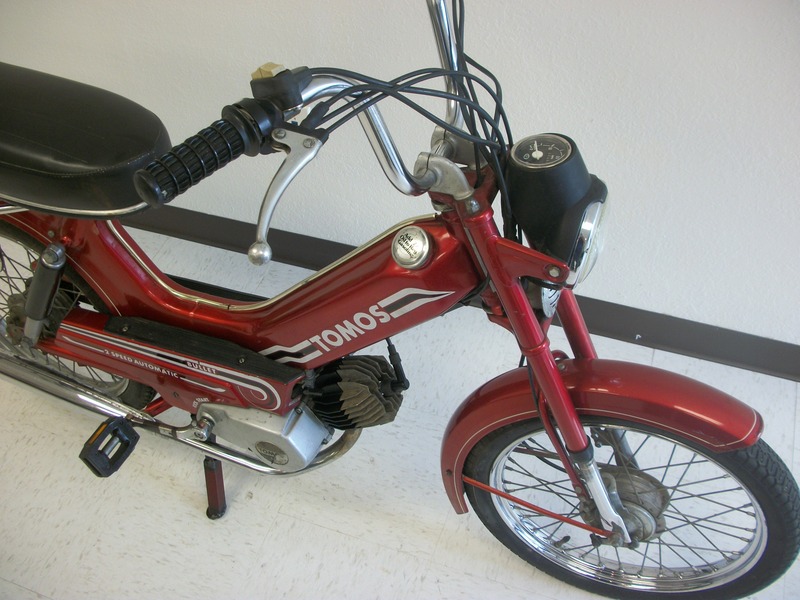 This Tomos will make an excellent daily commuter and is very reliable. 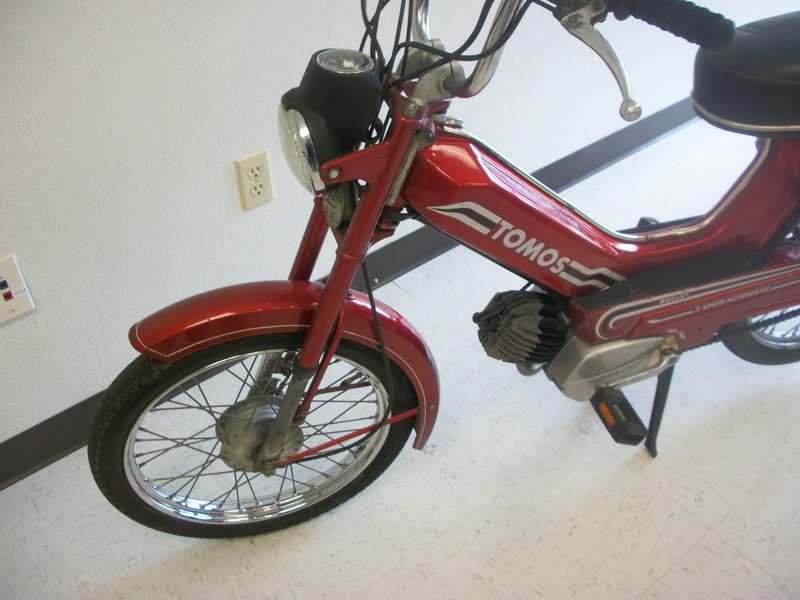 It starts easy and can be ridden all day long at 30 mph which is its rated speed. It is not perfect but it is still very presentable cosmetically. 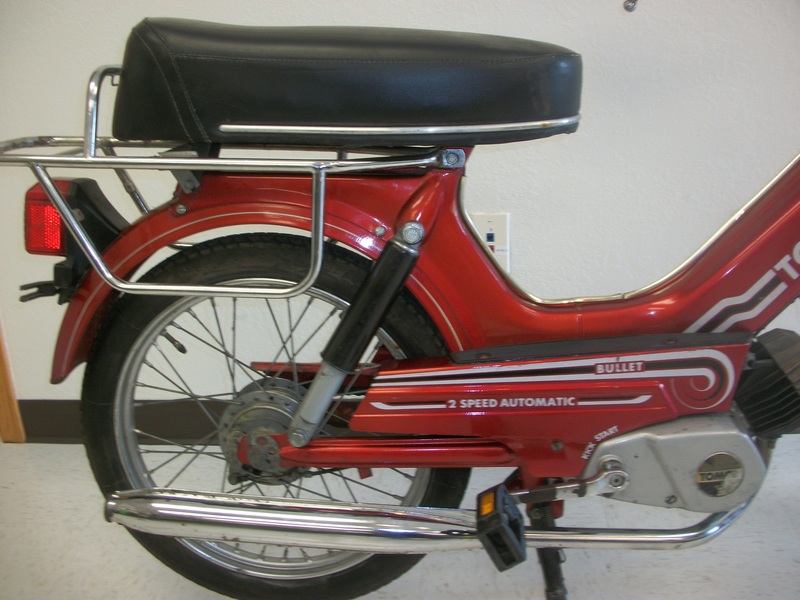 It’s all original and complete and rides very smooth. 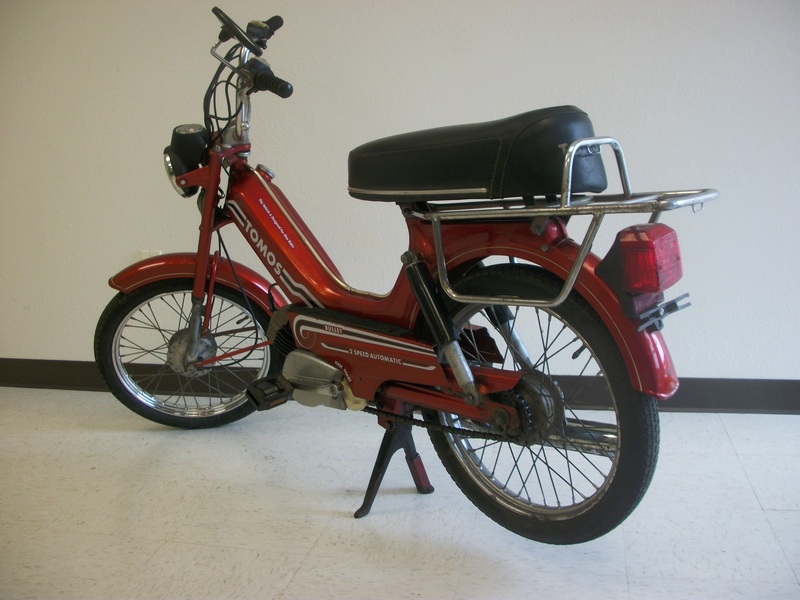 The seat is very comfortable as well so longer commutes would be ideal for this moped. 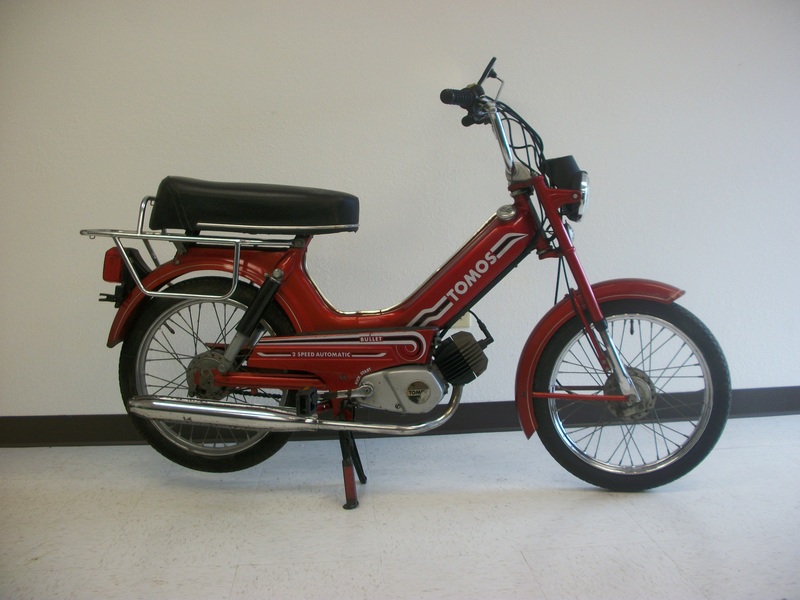 Let me reiterate that the moped is not perfect cosmetically. 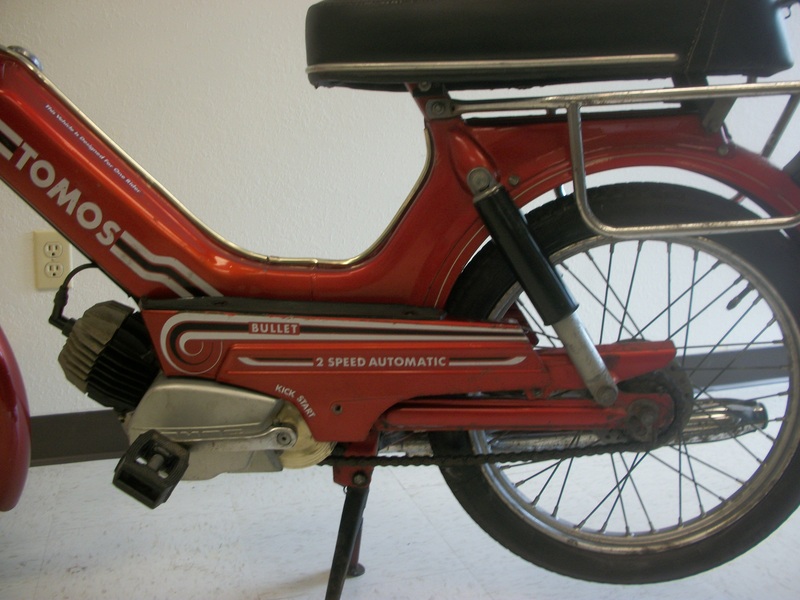 The rear wheel chrome is poor as well as the lower chrome section of the forks. The rest of the chrome is fair to good with a occasional splash of excellent chrome! 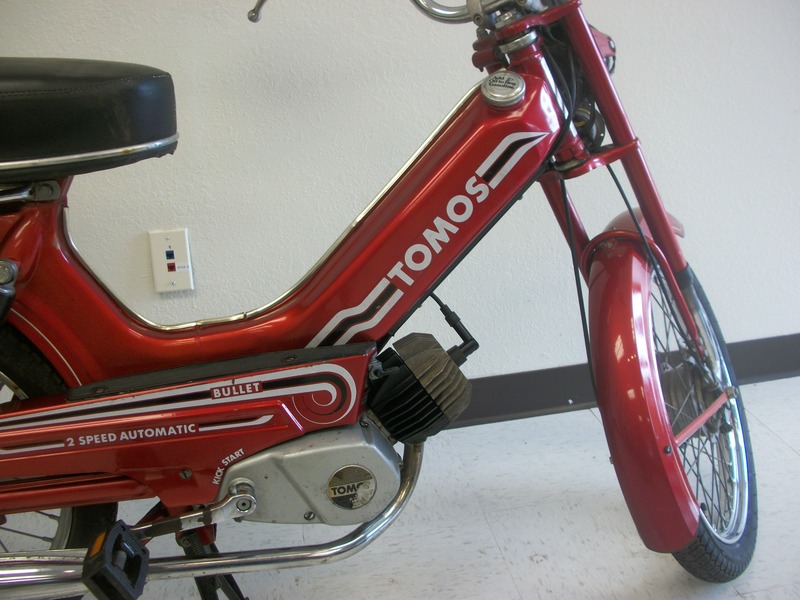 $650.00 and you can get a picture of you and your new used Tomos uploaded to your Facebook page by tonight! Oh, and I suppose you want it delivered to the Twin Cities area at no extra charge, huh?? Okay, we can make that happen too! !